A never ending stream of high quality content simply isn’t sustainable for most organizations. But what if Marketers could tap into a rich source of content optimized for engagement, sharing and action? This is the promise of co-created content and participation marketing. Not limited to influencers, participation marketing is to partner with others to create content that the community they are a part of would find useful. These co-creation partners might be existing customers, industry influentials, other connected businesses and individuals or even prospective customers. A brandividual is popular. An influencer is effective at creating popularity. While many see influencer marketing as a way to simply gain entry to an influencer’s network, there are many more dimensions to it than that. We’ve been experimenting with numerous influencer content projects over the past 3 years and have developed some exciting strategies and processes around influencer engagement and content co-creation. Recently, Ann Handley of MarketingProfs (and Author of the new book, Everybody Writes) interviewed me on this topic for her column in Entrepreneur Magazine “4 Ways to Get Influencers to Spread Your Brand’s Message”. How should a company define “influencer”? Are there benchmarks and best practices they might consider? An influencer has subject matter authority, credibility amongst a network and most importantly, the ability to affect actions amongst the network. The most common mistake businesses make with influencers is to qualify them based purely on network size (fans, friends and followers) and affinity to a certain industry or area of interest. Without the ability to affect the way a network thinks and how they act, an influencer isn’t really influencing anyone. They’re just a “brandividual”. Influencers can be people at large in an industry, they could be inside a company as subject matter experts or even amongst customers. Influencer relationships often include a value exchange of some kind and it’s up to the company and influencer to decide whether that’s an exchange of information or visibility or compensation. Think about what you want the influencer to do, how will their involvement help your company reach a particular business goal? What will an ongoing relationship with influencers mean to your marketing and reputation? As companies become more influential themselves, they need to look in both directions. What I mean is, beyond picking the most popular, influential people is to identify up and coming influencers. Working with an established influencer makes them your friend for a day. Helping upcoming talent become influential makes them a friend for life. What are some tools you can use to find influencers in your industry? It’s often useful to start with executives, marketing, communications and product managers to develop a list of topical expertise and even nominations of specific individuals. Attending industry events can reveal influencers who are speaking and meeting them in person can initiate a relationship. For example, working with Connie Bensen and Dell’s Social Media Predictions project, we took a seed list of influencers from marketing staff at Dell and expanded upon it using tools to find other influencers like those initially identified. That eBook has had well over 150,000 views and thousands of shares on SlideShare alone. Those characterizations will be useful with influencer discovery tools like Followerwonk or Little Bird which both focus on Twitter. There are also robust paid tools like Traackr, BuzzSumo or GroupHigh. After you use a tool to identify influencers for each topic, then you can bring that list back to your internal subject matter experts to manually review and filter. Of course, no influencer discovery tool is perfect. Correlation amongst multiple tools and sources might take more time, but it’s a best practice for distinguishing between brandividuals and effective influencers. What’s the key to getting influencers to share your content for you? First, create content worth sharing. Topics that address issues that are important to the influencer will get your foot in the door and useful, visually compelling content will inspire them to open that door and share. Reaching out blindly and asking to share doesn’t work as well as having a connection first and then asking. Second, let the ego do the talking. Content that includes an influencer’s contribution will probably get shared even more. Because let’s face it, people love to see themselves get recognized. Better yet, ask them to participate in the creation of the content. However, when mentioning influencers in content it’s essential that it be credible, high quality and creative. Most influencers have caught on to the tactic of simply mentioning famous industry people just to get them to share. There must be value created that inspires and earns the share. 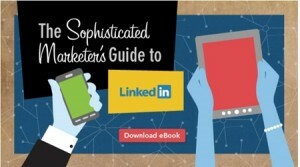 When we helped Jason Miller and Deanna Lazzaroni at LinkedIn create The Sophisticated Marketer’s Guide to LinkedIn, we identified and engaged with influencers best known as LinkedIn and B2B marketing experts. Then we asked them to share their best tips for marketing on LinkedIn which were included in the eBook along with advice from LinkedIn Marketing Solutions. The eBook has been shared thousands of times generating millions in new business. In fact, the ROI on this project is at 21,000% You read that right! We’re now helping LinkedIn create a follow up guide focused on Thought Leadership. Third, make it fun and easy. When emailing an ask, make it funny or at least clever and especially easy for the influencer to share. Capture their attention, succinctly explain what it is and what you want them to do. Then offer pre-written social share text that’s even personalized just for them. You may even create a resource page with images and other share options for them to use. When we create conference eBooks for events like Content Marketing World or MarketingProfs B2B Forum, we send image previews of the influencer’s page in the eBook along with prewritten tweets to give them a quick view of what the thing is and an easy way to schedule social shares. Bonus – but not my favorite. Pay them. Either compensate the influencer with information, with promotion or with compensation to share your content. Once you start down this road, it’s pretty difficult to get off, so plan for continued compensation once you start. Does influencer outreach have to be face-to-face, ideally? Or does it work online? Influencer outreach can begin on or offline but I believe both are essential. A common scenario involves meeting an influencer in person at an event, connecting on LinkedIn and following up with an invite to work together. Another would be to recognize influencers on a list, connect on Twitter, engage online and when a face to face opportunity becomes available, make a connection in person. There is no substitute for face to face, but many of our influencer relationships are only online. If you give influencers something cool for free, is it okay to expect them to talk about the cool free thing? An experienced influencer will understand the implied value exchange, but even with them, I’d recommend that expectations be communicated. “We know you love cycling and we’d love to send you a pair of our new cycling sunglasses to try out. Maybe even rave about! (but only if you love love them of course). That sort of thing. If the cool free thing is highly relevant, creative or unique, there’s an equally high chance they will talk about it online and off. But there are no guarantees. So communication is key. What’s the biggest mistake a business makes in trying to engage influencers? Presumptive, high expectation pitches with no romance and little upside for the influencer. It’s the equivalent of a stranger approaching you and saying, “Let’s get married”. The time to start creating relationships with influencers is long before you actually need them. If a company is thinking that working with influencers is even a remote possibility, they should start identifying, qualifying and engaging with them now. That way, when the time comes to work together on a project, there’s already some familiarity and credibility before “the ask”. 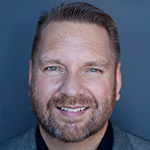 Lee Oden : thanx for a great article discussing Influencer marketing. This is much like link building, and in my mind it is actually an extension of the link building process, as you will be expecting these so called INFLUENCERS to refer to your online efforts in their social media posts. I have recently noticed that there are many people talking about the fact that link building is dead. Not sure who they are trying to hood wink, but I know there are many that have fallen for this line of thinking, especially as they are hinting at new techniques which they say will replace link building. I understand that the practice of LINK FARMING has been declared unwelcome by all search engines, and some have put punitive methods in place to combat the associated issues that come along for the ride. Think of Google’s PANDA and PENGUIN in this context. There is a vast difference between link building and link farming, just as there is a vast difference between approaching an influencer in person and sending out mass emails to a huge list asking them to act as influencers for your online content. Just as link building is a process where you need to examine the web site where you would like to have a link from them, and work out a planned approach of how to get an article of yours published within their pages that suits their target market audience, so you need to take your time and evaluate an individual to be sure that he / she is the right person to have associated with your brand or product. There are many pitfalls within the influencer marketing industry, just as there are many pitfalls in the link building process. At the end of the day, I see this option of yours of using an influencer to promote your brand or product as an extension of the link building process, because this person would at the end of the day be sending your web site or blog referrals through publishing links to your online content within their social media posts or perhaps even on their blog or in their web pages. Link building is not dead, it has evolved and is now approaching the age of semantic link building through the inclusion of individuals as digital entities that build the trust factors of your online content. If people put half as much effort into their link building as you propose they put into influencer marketing, you would not need to do any influencer marketing, as individuals would be willing to mention your web pages, blog posts and social media posts purely because they have influence within the internet. People should not worry about these issues of influencer marketing, but worry about quality content that servers a purpose, then the influencers will be standing in a Que to do business with you and your online content asking to be mentioned and associated with your success. Optimizing online content is not an easy task when you believe that SEO is dead and start looking at poor methods such as influencer marketing because you have failed within the SEO arena. No Frank, working with influencers is not like link building. And this proves the point about what many say about SEO – stuffing ideas and keywords where they are not relevant and don’t really fit – just like you have in your 500+ word comment. Methinks you’ve drunk a bit too much of the SEO Kool Aid. I never mentioned key word stuffing, which is one of the not so good practices which give SEO a bad wrap, but influencer building is part and parcel of link building, as you are hoping that they will mention your other online content and place a link to your online content. This is exactly my argument, you want to bring SEO into the picture as an add on or after thought, instead of having a policy in place which dictates how online marketing needs to be done so that you can get the best SERP’s (Search Engine Results Pages) not only from Google, but from every platforms own internal search engine, including twitter, Facebook, pinterest, instagram, linkedin and any other platform where your influencer may decide to mention your product, service or event. SEO or Search engine Optimisation is just holistic marketing focusing on ensuring that you have good content which is useful to your intended target market, and written in a style that suits your intended target audience so that they stay around long enough to push your bounce rate into the positive range or click on a call to action statement in your page to please the search engines algorithms which look into trust factors and authority issues. If you have good quality content that serves a purpose and answers your intended target markets questions, which was written after consultation with your SEO team, then your would be influencers would be standing in a Que to offer you some support. looking for influencers has become necesary due to the vast quanties of poor quality content that is generated by content marketers who have not worked closely with your SEO team and try to place more importance on marketing your content, than ensuring that your content served a purpose. Frank, I appreciate your enthusiasm but our world views are very different. The only thing worse than no SEO is ALL SEO. Lee, those of us who get the big picture appreciate this article. Keep up the great work. Lee’s work and related articles are indeed helpful, as most still do not accept my point of view. I understand and accept that, as #FUFISM is a very complex issue and needs to be understood before it is implemented. Failure to understand and implement #FUFISM can, and will lead to poor marketing results. Thanks Lee for mentioning BuzzSumo among the various tools to find influencers! Was wondering if you guys are going to give BuzzSumo Pro a trial? 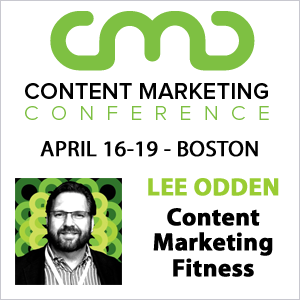 Looking forward to your presentation at Content Marketing World and learning more. Another useful tool to identify influencers is InkyBee. We’ve been using it for our clients and find it very helpful. Thanks for the great info, Lee. Good stuff, Lee, thanks. I wonder if you’ve ever looked at sorting through large lists of influencers filtered for their values (to align with the brand or campaign)?